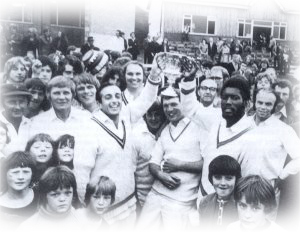 In 1974, Church Cricket Club won the coveted Worsley Cup for the first and only time in its history. The story is one of team success, and also of personal triumph for long-serving amateur pace bowler, Jack Houldsworth, who bowled unchanged throughout the competition to finish with the magnificent overall figures of 68.2 overs, 19 maidens, 148 runs, 22 wickets. Church were given home advantage in the first round but were not favourites against reigning champions, East Lancashire, with Neil Hawke as professional. East Lancashire amassed only a disappointing 102-9 with Houldsworth taking 5-51 and professional, Ken Arthur, 4-45. In reply, Arthur was top scorer with 45 as Church passed the total comfortably. 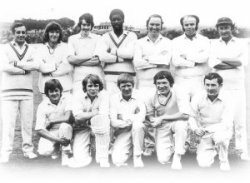 The reward for the first round victory was a difficult tie against Haslingden, in which runs were at a premium resulting in a nail-biting finale. Church batted first and struggled to 95 all out, Stephen Sharpe top scoring with 20 not out, and opposing professional, Peter Swart, taking 7-31. Haslingden failed to reach the taraget by a margin of 16 runs, with Houldsworth taking 5-42. 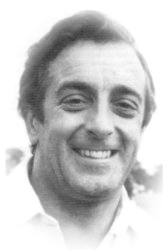 Church were awarded a home tie in the final against Nelson whose professional Collis King was having a wonderful season, and had hit a magnificent 125 to guide his team to victory in the semi-final against Lowerhouse. The turning point was early in the game when King was bowled by Houldsworth. Nelson never recovered from this shock, and were all out for 68. Houldsworth took 6-24, and Arthur 4-39 supported as usual by splendid catchingand keen ground fielding. Church passed the total after only 19.1 overs, and the Worsley Cup was theirs for the first time in their history. T Lowe (capt), M Walsh, W Wilkinson, B Wilson, S Metcalf, I Osborne, S Sharpe, G Briggs, T George, J Houldsworth, Arthur.